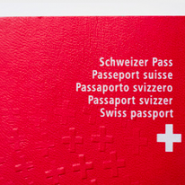 The Swiss government is planning to urge the public to vote in support of easing naturalization rules and granting third generation foreigners easier access to Swiss passports. Justice Minister Simmonetta Sommaruga discussed the proposed law with the Swiss media recently and said that the issue took months of deliberations in parliament. The government has designated a date for the vote. On February 12 2017 the public would be able to go to the polls and decide whether to change the constitution in favour of the new law. The government released an official statement stating that third generation immigrants who were schooled in Switzerland should under certain circumstances apply for facilitated naturalization, which is a simplified version of the regular naturalization process. The proposed change to the constitution outlines the fact that these young individuals have lived their whole life in Switzerland and thereby must qualify for facilitated naturalization. Nevertheless certain conditions will still apply, these include respecting the Swiss law, integrating well into Swiss society and speaking one of the national languages. Furthermore applicants for facilitated naturalization must provide proof that they have been born in Switzerland and have completed at least five years of schooling and have a permanent residence permit. Additional requirements outline that one of the parents should have lived a minimum of ten years in Switzerland, moreover a grandparent must have also been born in Switzerland or have been granted permanent residency. The facilitated naturalization law, which could come in effect if voters endorse it, clearly outlines that applicants cannot be over 25 years of age. Unlike countries such as the United States, Switzerland does not automatically grant citizenship for children born in Switzerland. Facilitated naturalization is only available to individuals who have parents or grandparents living in Switzerland.